30th September 2010. 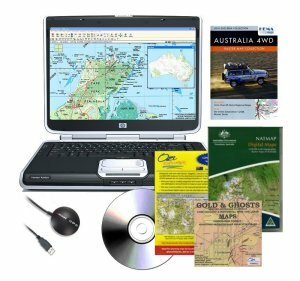 Plan your next trip with the ExplorOz Online Shop and turn your laptop into a digital mapping system. Huge rewards for shoppers in the Online Shop. VKS-737 updates and new Business Members added to the directory. Our offices are often inundated with calls regarding services specific to the Australian Self-Drive Travel Industry. We do our best to help, referring as many calls as we can to businesses listed in our directory. However, we currently need businesses to help with three of our most frequently received enquiries. If you are a 4WD/Caravan/Motorhome Insurance Provider, a Vehicle Transportation company, or you provide Gold Prospecting Tours, please contact us regardingBusiness Membership, we want to be able to refer future enquiries to you! The ExplorOz Online Shop provides travellers with all of the tools needed for trip planning and preparation. Along with our huge range of Maps, Books, Travel Guides and Atlases, we also stock GPS Products, Safety Beacons, Cameras, Camping Equipment, First Aid, Permits and more. PLUS get Overnight Air Courier (AAE) shipping for only $9.95. Want to Convert your Laptop into a GPS? New to the Shop are 3 different GPS andDigital Map Starter Packs, all of which will get you up and running. All you need to do is pick the one that suits your needs and budget. These packs will not only save you up to $60 off RRP, they provide coverage for areas that you would never find using a standard In-Car Sat Nav or Dash-Mount GPS. Great Rewards from the EO Shop! • FreeMembership with orders over $150 for any visitor purchase. • FreeMembership Renewal if you place an order over $75 in the month before your membership expires. • Free AAE Shipping –Member orders over $75, visitor orders over $250. • Members Receive 5% of your product total back inMember Money, for use on future purchases/renewals. TheVKS-737 Radio Network has issued a Media Release giving details of changes to RFDS HF Operations in Qld & WA. If you are a HF Radio user, this information will no doubt be very helpful. For more details, be sure to read the VKS-737 Blog entry HERE. 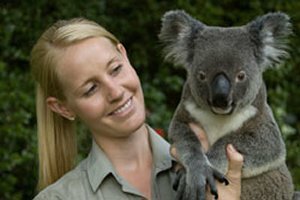 Oz Satellite Rentals - Oz Satellite Rentals provides a rental service for all types of outdoor equipment. inc GPS, UHF Radios, Satellite Phones. Hide Away Safe - Providing relocatable, high security, light weight and multi purpose safes. Beam Communications - Beam is a leading global manufacturer of satellite communication equipment and offers the widest range of Iridium solutions across all market segments. Convert your Laptop into a GPS! Great fun for you and your family!